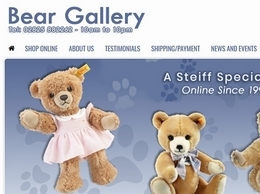 r Gallery has been selling Steiff teddy bears and animals online since 1999 and we offer what we consider to be the best selection of quality Steiff teddy bears and animals available. 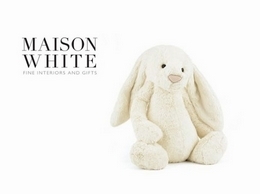 As a premium Jellycat seller we specialise in the larger Jellycats at the best prices. 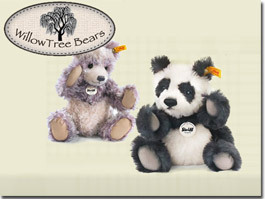 You will also find a select range of the best Jellycat Toys at great prices in our online store. Say it With Bears is an award winning company established in 2004. We offer many personalised teddy bear options including embroidered jumpers, hoodies, t- shirts, personalised ribbons and engraved gift tags, to make your teddy bear gift extra special. 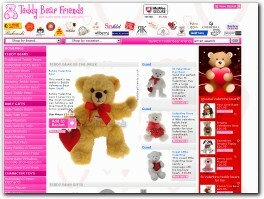 Welcome to World of Bears, where you will find one of the largest selections of teddy bears online and instore. Whether you are looking for big teddy bears or small teddy bears, our collection is guaranteed to delight. 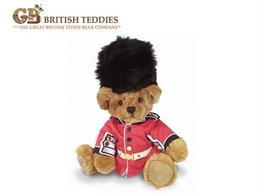 The Great British Teddy Bear Company have created over 29 iconic characters such as The Great British Bobby, Florence Nightingale, Shakespeare, Sherlock Holmes, Robin Hood and more. Each teddy bear is wearing handmade costumes inspired by the British characters and professions, the detail of each teddy is nicely crafted. One of Jellycat's nine recommended European stockists, carrying over 700 product lines, with over 200 dedicated web pages where you can search by design or animal, all available for delivery to the UK, Europe and Worldwide. 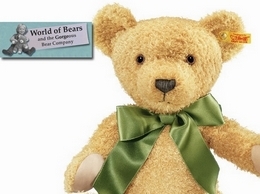 Find all of your favourite Charlie Bear characters in our online shop. Cuddly teddy bears for baby, adults and collectors. 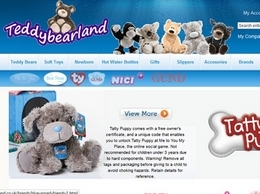 Teddybearland is an online teddy bear and soft toy shop selling brands such as me to you, gund, russ berrie and NICI. 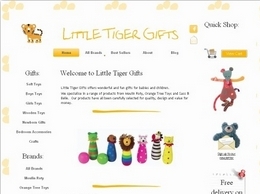 Teddy Bear Friends stocks a huge range of top quality baby gifts with teddy bear themes. Beehive Toy Factory is an online toy shop selling a uniquely designed range of high quality traditional, soft toys, wooden toys, craft toys and gifts for the young (and young at heart) at fair prices. Vintage beanie babies that are brand new and have never been played with. They are in mint condition with protective cover on hang tag and are free of odors, stains, holes or dust. Wholesale and retail Ty Beanie Babies. Over 1,000 styles. A Complete Guide to Teddy bears including their history, bear makers, teddy bears clothes and collectible bears. A place to share your pictures and stories of your own soft toys with other toy bear lovers. Buy a wide range of Jellycat soft toys at the Fabulous Gift Store. New stock added regularly and great prices.